1. Close all Internet Explorer windows. 4. 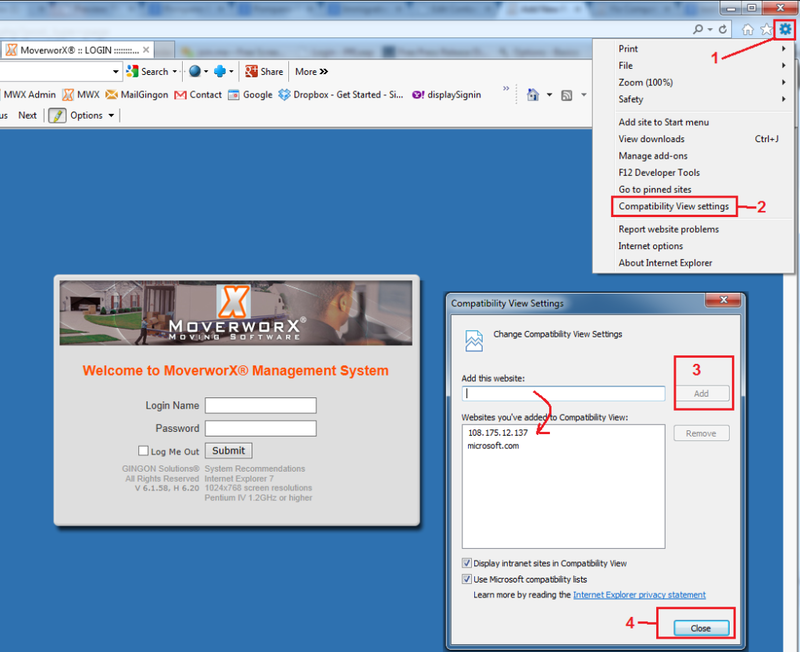 Log into MoverworX and the issue will be resolved. 3. Click on your Keyboard one time on “Alt” Key new menu will show up. 5. 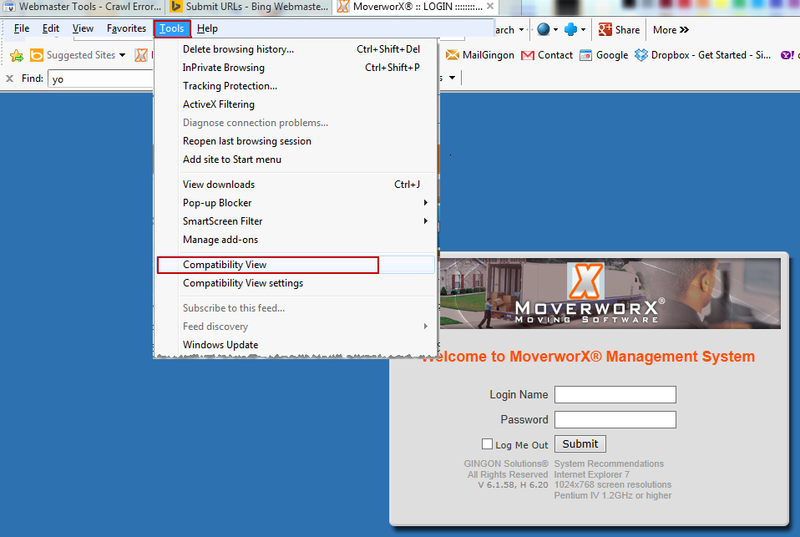 Log into MoverworX and the issue will be resolved.